Barred from racing the Tour de France because of an out-of-race positive for cocaine, Tom Boonen bounced back with Belgium?s first stage win in the Vuelta since 1999. 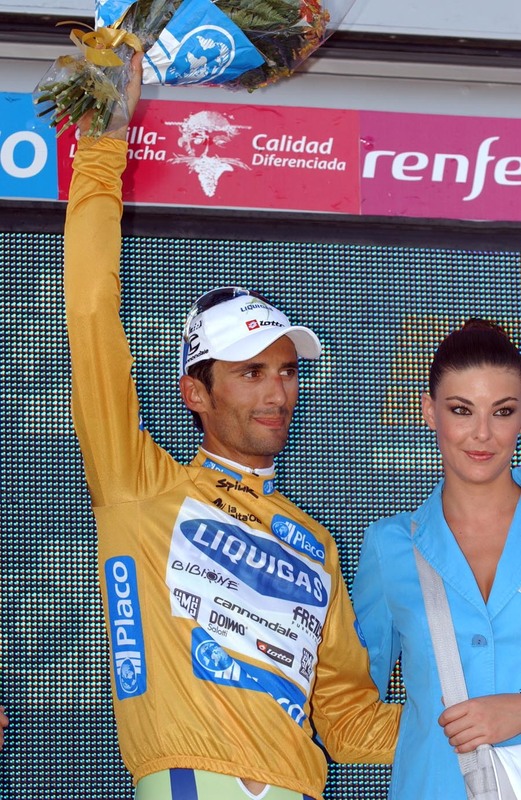 Boonen?s victory came when he clearly outsprinted Italian Daniele Bennati (Liquigas) in the long, flat finishing straight in Cordoba. Third was Erik Zabel (Milram), riding his third major Tour of the season for the first time in his career at a mere 38 years old! The stage had bunch sprint written all over it after Boonen?s Quick Step team-mate Paolo Bettini was reeled in with some 20 kilometres to go. Bettini had taken off on the long, draggy climb of the Alto de San Jeronimo just outside Cordoba, the same ascent where David Millar had attacked to win a stage of the Tour of Spain 2003. However, whereas Millar had stayed away for a lone victory, Bettini only got so far as overtaking the lone breakaway hero of the day, Manuel Ortega (Andalucia-Caja Sur) before he was reeled in. After Alejandro Valverde had ?robbed? the Italian team of both stage win and overall lead on Sunday, Liquigas were determined not to let stage three go the same way and they set up a fast tempo on the descent into Cordoba. But whilst Bennati timed his sprint almost perfectly, he was no match for Boonen, who shot past the Italian fastman for his 13th victory of the season. Bennati had the consolation of moving into the overall lead, but argued afterwards that he?d have far preferred the stage win. ?I had a rough time during the Tour de France, but I?m on the right track now,? Boonen said. ?I?ve come here to get all the way through to Madrid,? – something more unusual than it sound, given it was last achieved by Boonen in 2003 – ?and to get as many stages as possible en route. This is a great start?. Boonen?s road to the Vuelta might have had a rocky start. But since the news of his exclusion from the Tour in mid-June, he has won at least one stage in every race he has taken part in, starting with the Ster Elektrotoer. Victories have followed in the Tour of Austria, the Tour of the Regions Wallones, the Eneco Tour and now the Vuelta. Boonen is back, then, with a vengeance – but has he ever been away? 10. Lloyd Mondory (Fra) Ag2r all at same time.